I used American Apparel Hassid as a base colour with Essie Mod Squad for the flowers and Essie Mint Candy Apple for the leaves. This is beautiful! 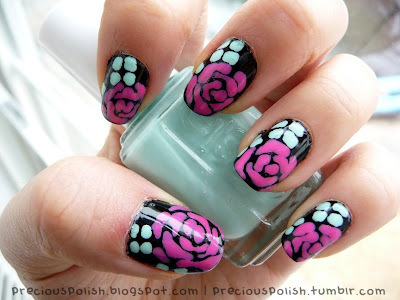 Did you use a brush to create the rose or a dotting tool?